Eurostar, the cross channel high speed rail service linking the UK with mainland Europe, today announced that its new direct route from London to Amsterdam will launch on Wednesday 4th April. Tickets will go on sale from 20 February when the inaugural service will take place. The launch of the London to Amsterdam service marks a historic milestone in the expansion of international high speed rail travel, revolutionising the connection between these important destinations. For the first time, passengers will be able to travel from St Pancras in the heart of London direct to the Netherlands at a speed of 300 kph in just three hours. With over 4 million passengers travelling by air every year between London and Amsterdam, the market is the same size as the London to Paris market at the time of Eurostar’s launch of service in 1994. Over the last twenty-three years, the market for travel between London and Paris has more than doubled as customers increasingly choose high speed rail over plane. As the Netherlands grows in popularity as a key business and tourism hub, the potential for the new service and the overall market is significant. “The launch of our service to the Netherlands represents an exciting advance in cross-Channel travel and heralds a new era in international high speed rail. With direct services from the UK to The Netherlands, France and Belgium, we are transforming the links between the UK and three of Europe’s top trading nations. 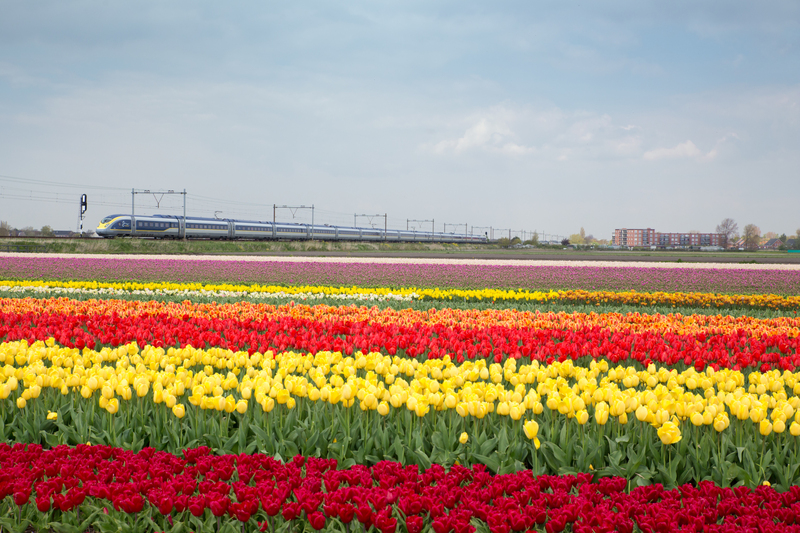 After extensive preparation, a comprehensive programme of testing on the Dutch high speed network and the building of Eurostar terminals in Amsterdam and Rotterdam, Eurostar’s new route to the Netherlands will start on 4 April 2018 with one-way fares from £35. The new service will be launched with two trains a day departing at 08.31 and 17.31 respectively. During the initial period, passengers will travel direct from London to Amsterdam and Rotterdam and on the return journey will connect through Brussels1 where passport controls and security screening will be carried out. This connecting return journey will be a temporary measure whilst the governments in the UK and The Netherlands complete an agreement which will enable passport checks to be conducted on departure in The Netherlands as in other key Eurostar destinations2. The governments have committed to putting this agreement in place by the end of 2019 so that Eurostar travellers can then enjoy a direct service in both directions. The launch of the new London-Amsterdam service not only creates a fast, point-to-point link with The Netherlands but also heralds a record new journey time for those passengers travelling on the London-Brussels section of the route. These customers will see their journey time cut by 17 minutes as the time onboard is reduced from 2hr05 to 1hr48. 2 Juxtaposed controls are an arrangement between Belgium, France and the UK whereby immigration checks take place before boarding the train rather than upon arrival at the final destination.